Celiac disease causes an intestinal reaction when you eat products containing gluten, which includes all wheat, rye and barley products and may also include some oat products. Gluten withdrawal can improve your intestinal complaints but can also cause symptoms in some people that range from physical to psychological, similar to withdrawal from substances such as caffeine or cigarettes. Americans consume a large portion of their calories in the form of carbohydrates -- typically more than 50 percent. Wheat, rye and barley are found not only in obvious sources such as breads, baked goods and pasta, but also in many processed foods as thickeners and other additives. 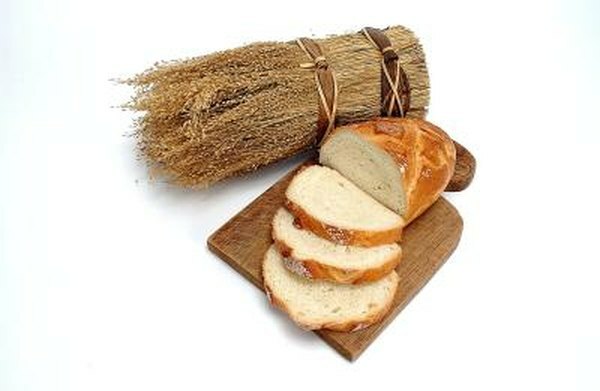 Removing gluten from your diet may, in some cases, cause physical symptoms such as diarrhea, cramping and nausea, although nothing in medical literature supports a true withdrawal reaction, according to Stefano Guandalini, M.D., medical director of the University of Chicago Celiac Disease Center. Anyone giving up a favorite substance, whether physically harmful or not, knows the psychological effects of withdrawal. Gluten may have effects similar to opiates, since the peptides, or incompletely digested parts of the gluten protein, can react with opioid receptors in the brain, according to an April 1979 article published by the National Institutes of Mental Health in the "Journal of Biological Chemistry." This study used data from mice, not humans, however. Typical withdrawal effects may include anger, depression and brain fog. As many as 70 percent of people experience these types of symptoms when withdrawing from gluten, Ron Hoggan, author of "Dangerous Grains" reports. The side effects of gluten sensitivity will disappear once you withdraw from gluten altogether. Symptoms such as diarrhea, bloating, gas, weight loss, fatigue and anemia will fade away as you adjust to life without gluten. Bone and joint pain, numbness and tingling in the hands and feet, arthritis and skin rashes will also improve. Living gluten-free requires a dedication to reading labels for hidden sources and an iron will to avoid sources of foods many Americans consider "comfort foods." While some people may have to suffer through withdrawal symptoms, others feel better immediately. Do not diagnose yourself with gluten disease and attempt to devise your own diet; see your doctor, who may also suggest seeing a nutritionist to help you make a painless transition to gluten-free foods.